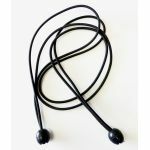 Minimum quantity for "SUP Rack Replacement Bungee Cords -- Sold In Pairs -- Free Domestic Shipping" is 1. 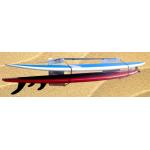 These SUP paddle board racks are Buck Woodcraft's own design. We fabricate them out of 3/4" thick King Starboard, milled to a totally smooth finish on our CNC machine -- with parts precisely inset and aligned for maximum strength. Our SUP racks are color-fast and impervious to weather, offering maintenance-free storage. 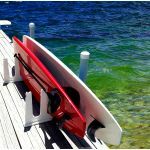 Models are available for on-dock or ground-level storage of up to to 3 general-use SUPs and paddlles, single dock- or ground-level stands for touring SUP designs up to 7.5" thick, and compact wall-mounted storage for one or two general-use SUPs. 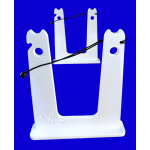 All racks incorporate bungee tie downs for securing SUPs and paddles.